I wasn’t taking a lot of pictures while working on the new house. Too many small fix ups to name, and not enough time to document them all. One larger project was my kitchen half wall. There is this segment of wall that separates the kitchen from the living room. It made both rooms feel smaller and didn’t seem to serve much of a purpose, so I decided to take it out. Only the pantry remains at full height. I removed all the drywall and found a lot of wiring to do with the intercom system. It hadn’t worked when the previous owners moved in, so out it comes. It was tough to cut all the drywall and studs to a really straight line. An oscillating multi tool helped with the drywall, but standing studs are hard to cut straight. I did as best I could with a reciprocating saw, and came back later with a belt sander and 4ft level to make everything even. I have never done a bullnose corner before, but managed to pull this one off pretty well after a few rounds of drywall mud. The odd dark green wall got a lot of primer and paint so it matches the rest of the house. To cap off the wall top I ripped down a 1×8 to a nice width, and painted it white. A little store bought molding also painted white finishes it off. It feels good to not be renovating a house right now. Strike number two in the kitchen renovation! I ordered a new stove and dishwasher as part of the November black Friday madness. Instead of waiting for them to arrive after the new cabinets go in I’ll do them early. To some extent this doubles my work as I will have to uninstall these in a few weeks when the renovations start. While that isn’t ideal, this lets me work out the process and guarantees I have the right parts on hand. The two patients to be worked on are a very old chef magic dishwasher and a GE slide in glass top stove. The dishwasher was rusting out and had a broken soap door when I bought the house 7+ years ago. I thought it would die soon, but it has held on! 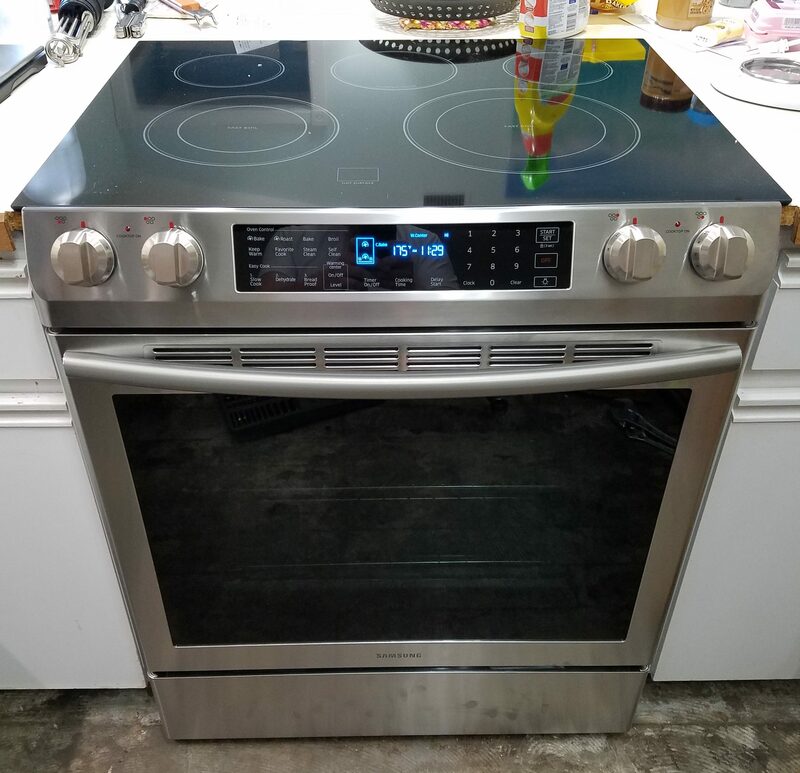 The oven is decent, but the top was scratched badly (not by me). It worked well aside from a somewhat expensive touch board failure a few years back. Off with their heads as it were! Well first I was able to run one final load of dishes before the delivery guys came. 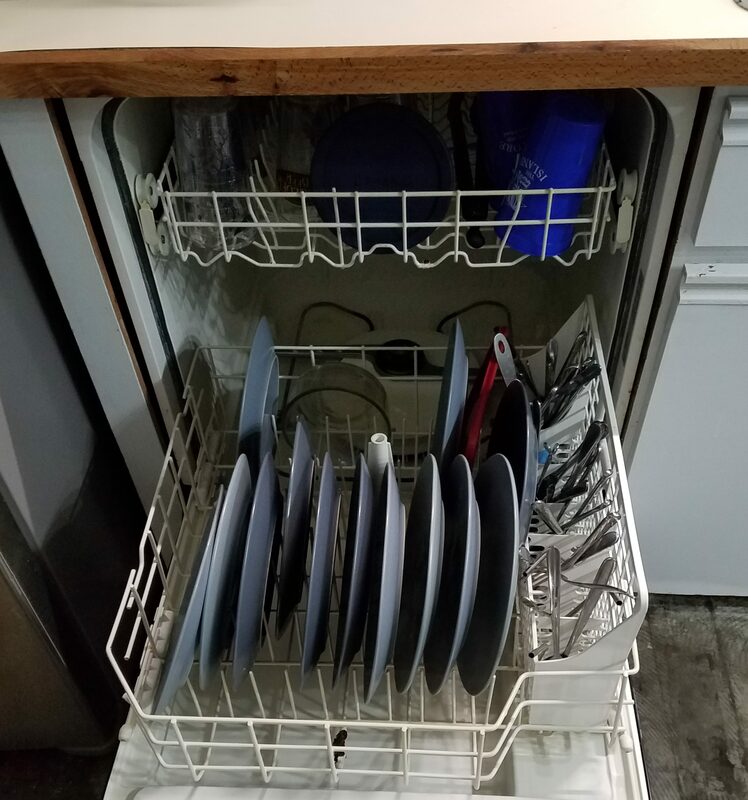 Just in case I spent a long time getting them all installed, I would at least have clean dishes. First comes the unwrapping and the very careful reading of instructions. Or rather the unwrapping and the smelling of new appliances. Instructions would only come when I was really really stuck! They really do look gorgeous! The stove was the first one to go. I had already pulled the old one out a few times for measurements and such. The cord swap went quickly, and after some cleanup and feet leveling I was able to shove the new one home. It is a good thing I got these now, the front overhang is slightly different. My old stove covered the countertop a bit differently and it leaves some edges exposed. This would be a problem, but we are getting new everything, and the countertops will be fitted to this stove. Good thing I acted now. Next came a perplexing game of “figure out how dishwashers are installed”. The plumbing was pretty straight forward, but the electrical turned out to be an issue. 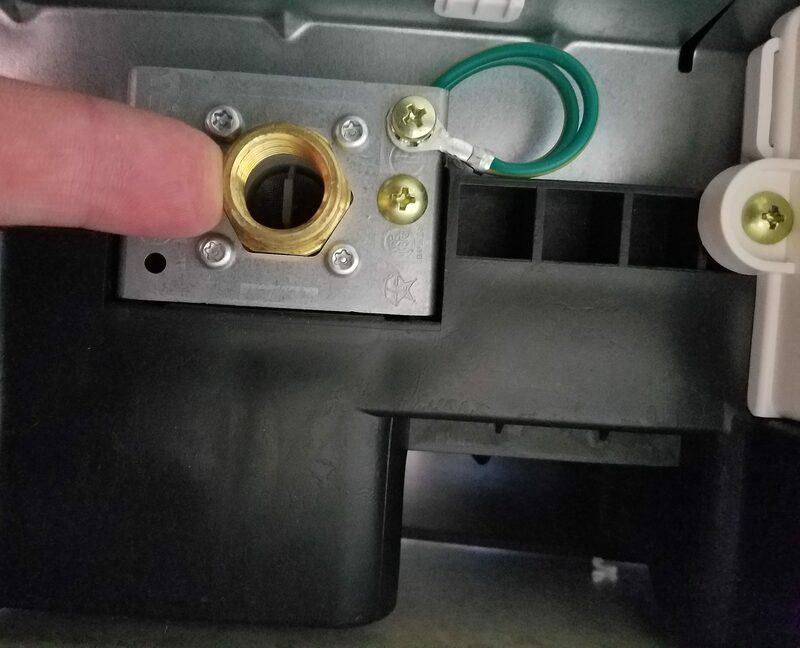 It is barely long enough to reach the front panel let alone let you pull the unit out past an inch or so. I eventually worked everything out and got the old girl to the street corner where she belongs. The new one went in slowly but without major incident. I barely have enough power cord, so a modification of the permanent electrical system is in order. For anyone working on this kind of thing, I highly recommend stubby wrenches. Much better for getting into those tight places under the dishwasher. Like installing the adapter for the water supply. Got lest than 6 inches of wrench room? No problem for a stubby! The new appliances are wonderful. 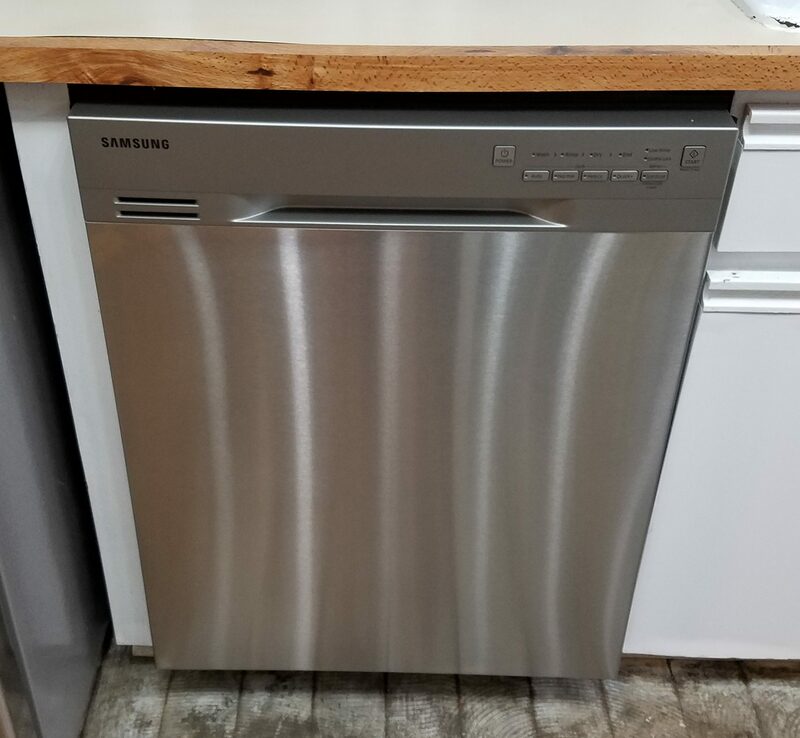 The dishwasher is very quiet and cleans a thousand times better than the previous junker. The stove has a lot more cook top flexibility, and gets hotter faster than the other. It even managed to get through a 7 dish Thanksgiving baking session without spilling anything! Now if I could just get the rest of the kitchen to catch up to these two beauties I would be all set. I have made the first salvo in the kitchen makeover war. It needs a better name. How about instead of the war of the roses it could be the war of the spatulas? Any who, instead of leaving everything for the two weeks or so I will be doing our kitchen renovation, I am tackling small jobs that are easy and won’t involve a lot of backtracking. 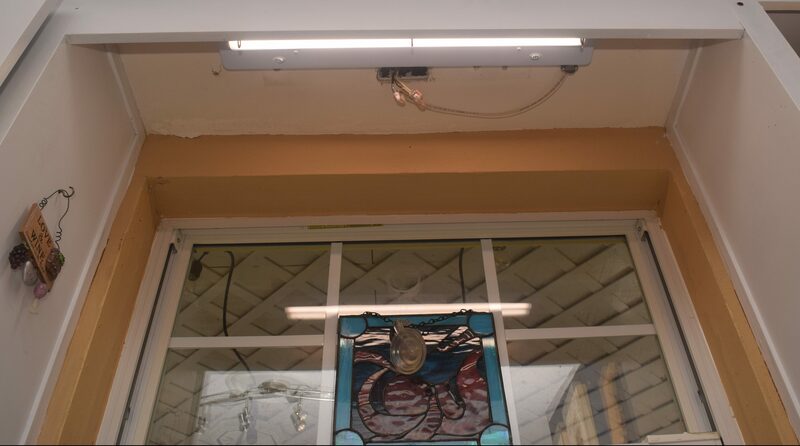 For example, some of the lights can be installed now and left in place throughout the renovation. First, what did I have to start with? A fluorescent tube set over the sink, a hanging light trifecta over the stove, and on the ceiling, a spot light array. I did the one on the ceiling a few years back, and the one over the stove when I first moved in. The stove one looks nice, but doesn’t provide the best lighting. The ceiling one is bright, but kind of harsh and the color temp isn’t great. For above the sink I went with an under-cabinet LED light. I want to put lights under the cabinets to the left and right of the sink. I figured using the same light over the sink and under the cabinets would tie together well. I found some with a good color temp and really high CRI. I installed one as a test. I love it and bought the rest of what I will need! There is going to be a second one under the window, and one under each cabinet all connected to the same switch after the cabinets get installed. I went with a matching set of lights for the ceiling and over the stove. 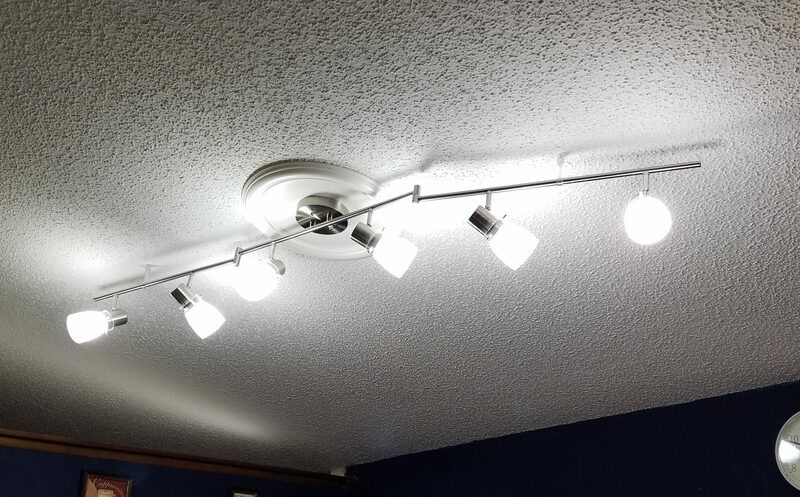 They are the same style from the same company with 4 lights over the stove and 6 on the ceiling. Frosted spot lights directed most of the shine downwards over the stove, while regular bulbs were used in the ceiling. The modern “daylight” LED bulbs are amazing! The kitchen is already nicer to work in. Next will be an early appliance delivery. After that, I am out of things to do before starting a full kitchen destruction in ernest.